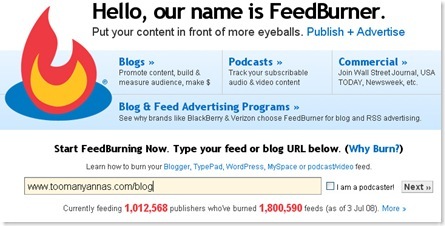 First – go to www.feedburner.com – you’ll see there’s a big blank box in the middle of the page under Start FeedBurning Now. 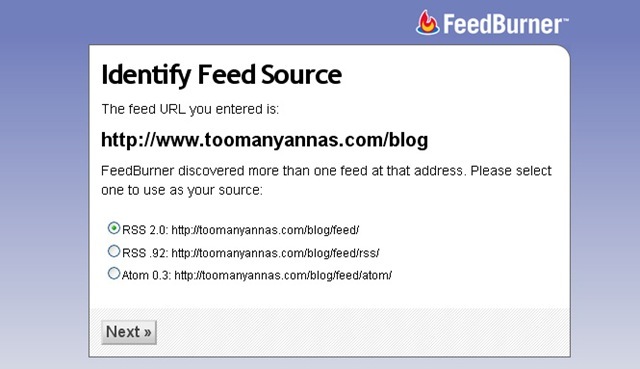 Type your blog address in that box, and feedburner should be able to auto-discover the feed URL for you! If when you type in your address and push next it comes up with a list of options, choose either the one labeled RSS 2.0, or the one that ends in /feed or RSS (not Atom, which has been causing issues lately). 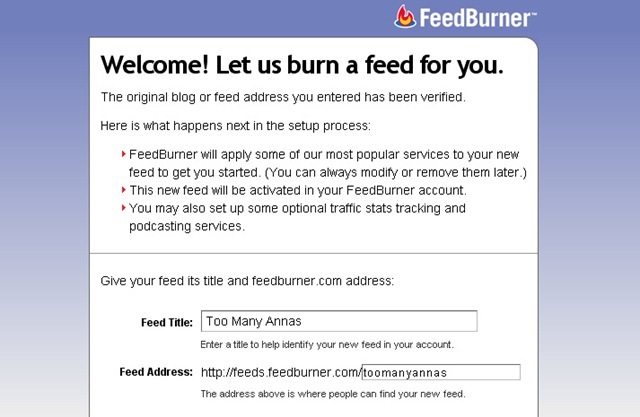 The next window will have a place for you to name your feed and the feedburner address for it, and also your registration window where you pick your username and password to access your FeedBurner stats. 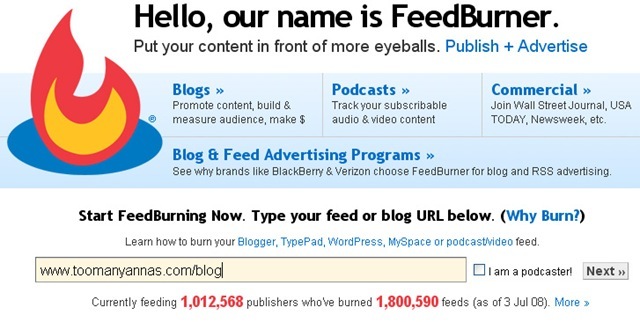 And then you’ll have a big page of options for the various different blogging services – you’ll want to go to the appropriate page for your blog type (Blogspot, WordPress, etc) and look up how to publicize your blog’s new feed using FeedBurner. For most this is under the Publicize tab, the option “Chicklet Chooser” – but the actual steps vary based on your blogging platform. 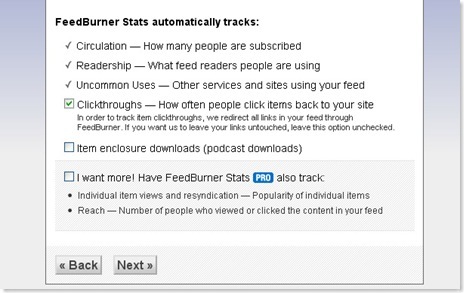 Fortunately, FeedBurner has nice step-by-step walkthroughs for each type. I highly suggest you use the standard RSS button (that looks like this: ) because it is widely recognized. If you’re clever with editing, you can create your own – but try to stick to the same template. Siha, over at www.bananashoulders.com, has an individualized (purple!) 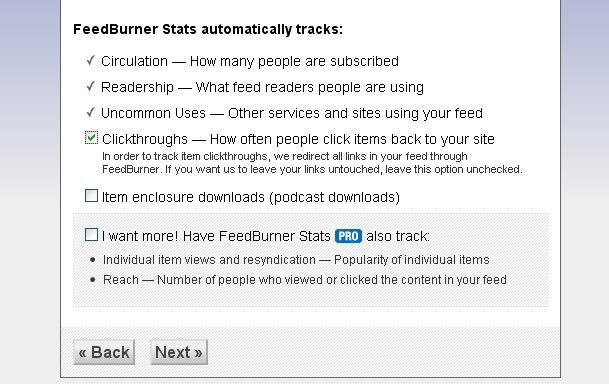 rss feed button, for example. 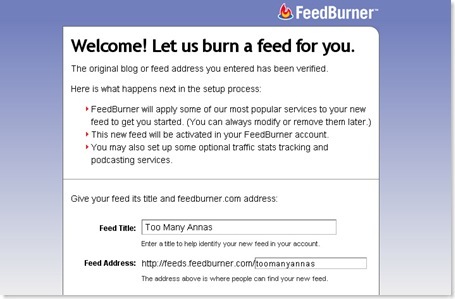 Hopefully that helps walk you through the setup process for creating a FeedBurner feed – that will, in the end, help you better serve your readers by allowing them to maintain ONE feed address even if you change URLs, and will give you tasty webstats on how many subscribers you have to your blog! Every Thursday, one of the Annas from Too Many Annas stops by with a mid-week blogger tip. If you have questions or suggestions for future tips, email Anna ( tips at twistednether dot net ) with a message titled “Blog Tipping”. 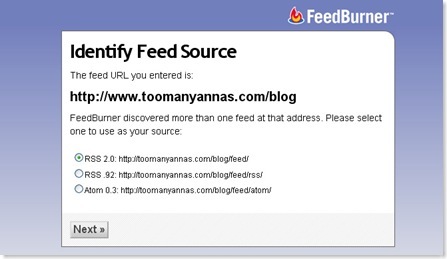 As an extra note, the Twisted Nether Wiki recommends for you not to use an Atom feed for FeedBurner as this will cause errors in the date and time data for your posts. We have not been able to resolve this issue, so please use an RSS 2.0 or alternate feed.